When thinking of JRR Tolkien and his Lord of the Rings mythos, Gnosticism or the Esoterica might not immediately come to anyone’s higher or lower mind. But here at the Virtual Alexandria we always reveal there is a reality behind the reality. This interview presents the Gnosis of Tolkien and its stunning relation to Carl Jung, transcribed from a past episode with Lance Owens—ordained priest of the Ecclesia Gnostica, as well as the creator and editor of The Gnosis Archive website. For more of Lance’s insightful writings and lectures, please go here. And thank you to Mandy for an outstanding task of transcribing the interview. But enough of my drivel, as I like to say, and onto the first part of the interview with Lance (and you will find the audio version at end of this article). Jung and Tolkien and Gnostics…oh my! MC: Thank you very much for joining Aeon Byte. Although most people would not make a connection between Jung and Tolkien—besides there being plenty of Jungian analysts of Tolkien— there seems to be many parallels to both giants of our times. You certainly point out a few in your excellent lectures at Gnosis.org. Perhaps the first one, or the main one—as you mention—is the similar experiences they both had before World War I. What were they, Lance? LO: It’s a big question because, it’s a question about the nature of human imagination. It becomes apparent that Tolkien had a deep experience of the imaginal realm. We think of the imagination as something safely locked inside the cranium, and what we imagine is a mirror refiguring of images that have come to us through sensory perception…with everything locked in that cranium has sort of come into it through our physical relationship to incarnation, shall we say. The individuals who have a different perception, they encounter the imaginal as something independent—as a second reality that is independent of their experience. In other words, what comes to them through the imagination can include things that have not been part of their sensory perception. That are not locked within their cranium. It’s like the vision is a doorway. There’s a doorway, and one can look out into the world, and one can also look in that doorway and find as great an infinite reality. It’s a very strange concept. If one simply is locked in a flatlands world view where there’s only one reality, and it’s all material. This makes no sense. There are individuals who’ve had this experience of an inner reality. An imaginative reality. Tolkien most definitely was one, and Jung most definitely was one. I think probably at this point in our culture, there are very few people who have not heard the name of John Ronald Reuel Tolkien. Of the most published books in history, I think Lord of the Rings is up there near the top right now. Something like two hundred and fifty million copies in print, and then The Hobbit follows shortly thereafter. So people are aware of Tolkien’s literary production. They’re aware of The Lord of the Rings and The Hobbit; but hardly any of that reading public is aware of what preceded those books. That this man had a 20 year engagement with an imaginal realm, and produced boxes upon boxes upon boxes of manuscript. Thousands of pages of manuscripts documenting his encounter with the imaginal. He saw the imaginal as a given thing. As a reality, as an independent truth. He did not feel that he was inventing anything. He repeats this again and again in his letters, in his private conversations, that his experience of the imaginal was an experience of a reality—a truth. The stories that he was telling were not invented by him, they were translations of his experience of the imaginal. 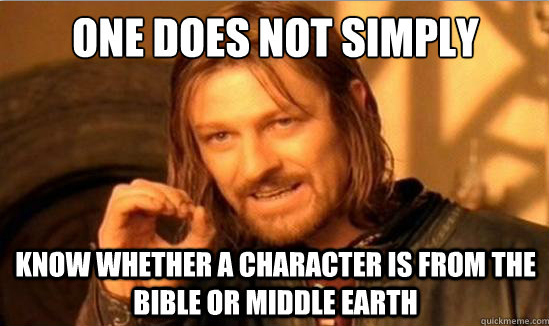 It’s a strange concept, but that is the depth that people perceive when the read The Lord of the Rings. There’s something deeper there. When did this start for Tolkien? Well, it started around the time of the beginning of the first Great War. The World War I as we call it. Around the time 1914, Tolkien began having a sense of a deeper reality that was bidding him to explore it. He began having words coming to him. He called them “ghost words.” He would hear Elven words. Words in a language that he had not ever heard before. That no human had heard before. The words would come not just with sounds, but they would come with meaning. He began keeping records of these Elven words, trying to explore that vocabulary. The words didn’t just come. With the words there came stories. The Elven languages came complete with a mythology. He had started probing at it before he himself entered the battle of World War I over a period between about 1914 and 1916. At that point the man is around twenty-one to twenty-four years old, and he doesn’t really know exactly what is going on [Laughter] other than it seems peculiar, and no one else seems to understand it. He thinks he perhaps is a poet, and some of his initial faerie mythology and some initial vision is written in poetic form. Then in 1916, Tolkien goes to the Battle of the Somme which was perhaps the most horrendous sacrifice of World War I. A half million men died in six months at the Battle of the Somme. Twenty thousand British soldiers died on the first day of battle—first day of July in 1916 alone. Amongst the men who died at the Somme were two of Tolkien’s three best friends. He was there for the entire battle. He was a signal officer working on the front lines trying to maintain communication with the rear, and he witnessed this sacrifice. He came home from battle. In late October he became ill with a malady then known as trench fever. They didn’t know what caused it. The men came down with cyclical, recurrent fevers. Now we understand it was probably conveyed by the lice that infested the soldiers in the trenches. He came home with high fevers, and sick in November of 1916 to England. During that period in hospital, this imaginal realm really opened up. Certainly when he came home, there were times when he was actually suffering from high fevers. He may have even had some hallucinatory events, dream events during that period. That was not it alone. The fevers were not persistent, but he did spend several months off and on in hospital. Then many, many more months in convalescence where he didn’t have much to do. During that period he entered into an imaginal relationship, shall we say, with the Elven realm. He began hearing these incredible stories. Once again, Tolkien’s sense was not that he was inventing them, but that he was actually hearing them. With them came the Elven tongues. When he got home in November of 1916—in 1916 to 1917 through 1918—he produced a series of stories. A series of imaginal investigations, shall we say, that are really the foundation of everything that followed. He encountered this realm as a given thing, to use his own words. He began recording these stories. He had no idea exactly where it was going. He didn’t understand if it was a literary work, if it was a poetic work, if it was anything that would ever be published. In fact, at the time this was entirely a private matter. He kept these things in notebooks. The interesting thing, the question you asked to start is, well, how does this relate to Jung? The same thing happened to Jung at almost the same time. In 1913 Jung was a doctor of thirty-seven years of age, and had had a long period of relationship to Sigmund Freud. Had broken off that relationship, and he had understood that in the psyche, there was much more than simply the repressed material of our potty training, and our parental relationships that had gone wrong in youth. That this realm opened out into an infinity, and you realize that he had to meet it. He had to enter into it. On the 12th of November of 1913, sat at his desk and petitioned his soul. “My soul, my soul, where are you?” is how he wrote his beginning. He sat for a month probing after some communication back from this imaginal realm. From his soul. He entered into what he called the mythopoetic imagination. The imaginative realm from which myth came, and he was looking for his myth. He was not trying to invent it, he was trying to discover it. Over a period of weeks he sat, and slowly words started forming. He started hearing phrases, and word forms. By December of 1913, things absolutely broke open. He began having visions, full visions. He would sit, and he would actually see things, and he recorded them. Recorded these stories—these story fragments. This was the beginning of Jung’s Red Book. Originally these things were written in diaries known as The Black Books. Over the next—about ten years—he filled six Black Book journals with these events. From these he distilled a manuscript which then he transcribed into his Red Book. In 1913—this was before the war had erupted—he was having visions of the coming of a war. Amongst the visionary material he was having, there were many references to a great sacrifice that was about to come. In England, Tolkien was in a very similar situation. He had gone to the Cornish coast in 1914. While there, he had a vision of one—Eärendil, he called him. It came as a poetic fragment. This word Eärendil—it had come to him from Middle English, and it had some intent. It seemed that this word had existed outside of history. That there was a story connected with it, and began trying to tell that story of Eärendil—one who had sailed into the Heavens with a gem of light. Then after the war broke out, and after Tolkien’s experience in the war, he came home and this imaginative realm opened up for him as well. You have Jung in Zürich having these visions. This entry into the imaginal, into the mythopoetic imagination. Developing stories, feeling that there is an infinite reality there to be discovered. A given that must be discovered. Jung says that we perceive the outer reality as infinite, but that there’s a reality within just as infinite, and just as interesting, and just as important. That we are incomplete. We are only half until we encounter that lost, and forgotten other within us. That other half waiting to join into consciousness. This experience of Jung is happening around the time of the Great War. He has images of sacrifices happening around Switzerland, and Tolkien is right there in the middle of the sacrifice. He sees it, he moves through it, he comes home, and he starts his own visionary experience. If one doesn’t accept the fact that people can have visionary experiences, this is all balderdash. What the hell is going on here? [Laughter] It’s hard to get across to people. I remember how I was at a cocktail party talking to somebody about this. I think I mentioned this at one of the lectures. I was talking about the fact that Tolkien was having these auditory hallucinations— Elven words. He was hearing Elven languages. He was hearing from the Elves their stories, and he was writing them down. The lady said to me, “What you mean here is that Tolkien was crazy. Is that what you’re saying? Tolkien believed in Elves?” My response to that was: “Well no, Tolkien didn’t believe in Elves, Tolkien knew Elves.” He knew Elves by hundreds of names. He knew their history, he knew their stories, he knew their sorrows, and their joys. He knew the beauty of their art. He was discovering Elves, he was getting to know them. The same thing goes with Jung. People say, “Well what was going on with him? He was having these visual hallucinations; was this a psychotic break? Was he mad? Was this an illness?” My answer to that is no, it wasn’t. The man continued to function in every normal fashion during this event, during the writing of what became The Red Book. He continued to see patients, on average five a day during these years 1914 through 1919 or so when he was having the visions. When he was writing the visionary material down. He was on active duty as an officer in the Swiss Army during this period for extended—in total of over half year on active duty—and was able to maintain his family function. Rather complex family function, should we add, at this time as well. Tolkien was able to function in England when he was having these visions, when he was writing things down, when he was telling the stories. Some of the time he was definitely in hospital from the time he was sick and weakened by his illness, but he was able to function in every fashion outwardly. This was an inner exploration which was not an impairment of rational function. In fact, it is a turning of rational function, a turning of rational attention—instead of outwardly to the activities of the world—inwardly to the activities of the imagination. So both of these guys were going through this intense experience at about the same time. Historically, there is a certain synchronicity there. Even more interesting, I think many people have visions of sorts, or imaginations, or hear stories, and it’s interesting. Maybe they write it down, and then they go on with their lives. The difference here is that, what happened to Jung between these visionary experiences—I say “visionary” but I could also use the word “imaginal” or I could use the word “mythopoetic”— “myth creating.” These visions that had become the foundation of a life of work. Jung saw this visionary material that came to him between 1914 and 1920 as the precious stone that he did work for the rest of his life. He spent the next 45 years trying to explain to the world, to people, to patients, the reality of the soul. The reality of the psyche. The reality of an inner world which was just as infinite as the outer. Which was not a result of it. Which was not simply the residue of it, but was an independent reality. In fact, it may come before—this imaginal realm—might come before outward perception. Then, he went and spent 45 years, the rest of his life, as an interpreter to people of this experience, of this reality. From it came his ideas of a collective unconscious. People once upon a time would say, “Well Jung got his theories of the collective unconscious from listening to the dreams of his patients, and correlating experiences, or from perhaps his own dreams.” Well, truth of the matter is, he got the concept by the experience of actually having gone into the imaginal realm and encountered these figures. Tolkien, in parallel, had this imaginative experience begin in 1914 or thereabouts. Then break open in magnitude around November of 1916 after returning from the battle of the Somme, and over the next two to three years. He spent the next 40 years of his life further investigating, exploring, and developing this experience of the imaginal. Both men struggled throughout their entire lives trying to explain what they had encountered, what they had seen, what they had experienced to others. Both struggled, shall we say, with limited success in that effort. MC: Moving on, Lance, don’t you mention in your lecture briefly that the cosmology of Tolkien’s universe is very similar to a specific Gnostic myth? Which one is that? LO: That becomes both an interesting, and a complex question. First of all you say, “Tolkien had a cosmology.” What was his cosmology? Where did that come from? People have read The Lord of the Rings and it’s like—is there a cosmology in The Lord of the Rings? [Laughter] Or in The Hobbit—is there a cosmology, is there cosmological vision? You start talking about things like that to people who know something about Tolkien, who have read some of his works and it’s like—what the hell is that about? MC: His own Red Book basically. LO: Yeah, his own Red Book, and that’s exactly what he called it, you know? LO: That’s exactly what he called it. LO: Yes, his Red Book. He worked for 20 years before The Lord of the Rings was engaged in: 1937-1938. He’d worked for 20 years creating this material. The Silmarillion was not a little book. There was a little book called The Silmarillion published a few years after Tolkien’s death—edited by his son Christopher—but this was just a very brief condensation of his mythology. As a matter of fact, Tolkien’s Silmarillion filled probably two or three file cabinets. The publisher, after Tolkien’s death, he had eight feet of stacked boxes that included his manuscripts of what was The Silmarillion. Christopher Tolkien, his son, after J.R.R.’s death, had the task of trying to bring this stuff to publication. He initially published a very slim volume called The Silmarillion, which was a recension of some of the primary myths that Tolkien had told. The first of these is called The Ainulindalë. When you get into Tolkien text, this becomes a little bit complicated because many of the texts have Elven names. That’s how he heard them. Ainulindalë means, the music of the Gods. Tolkien went through this initial series of visions. There were maybe three or four crucial myths that came to him—crucial stories. Stories that related to the origin of human consciousness, and to the origin of Elven consciousness. The origin of the Elves, and the relation of Elves and Men. The relation of these to the powers, to the emanations, to the Gods. There’s one called The Story of Gondolin, and there’s…well, I won’t go through all those three or four myths. In 1919, after these initial three or four myths had come to him, he received a cosmogonic myth—as he calls it. A story of creation. A story that starts before the world, and tells the story of world creation. That’s relatively unusual, and these are the sorts of things that are the foundations of religions actually. Cosmogonic myths—how Gods form worlds, how God powers interact with human powers—are, for the most part, foundational stories of religions. Tolkien received just such a cosmogonic myth in The Ainulindalë. He sees in this story that he writes— the original text is about, probably ten pages. There is a good recension of it in the little book, The Silmarillion published. I think it was 1977. In The Ainulindalë, he tells the story of a first force called Ilúvatar, who emanates several God forms called the Ainur. The Ainur come forth from his consciousness. His emanations of consciousness. Each one is a limited form of that consciousness. Each one is a piece of that consciousness, very much like some of the old Gnostic myths where you have the emanational structure of creation. One of these emanations—whose name is Melkor—is an emanation of discord. Melkor adds—into the music of creation from which the cosmos flows forward—a tone, a song, a theme of discord. Creation itself comes forward from the force, and the song, and the music of the Gods singing. The cosmos is formed thereof. Melkor goes into the darkness. There is a void, in this initial creation myth, there is a void where the light of the Ilúvatar has not shined. There was a place behind the back, shall we say, of Ilúvatar. The first source. A place where his light, his vision has not gone. there is a realm of unseen. A realm of unconscious, or a realm of unperceived. Melkor goes into that darkness, and goes probing for things. It is from that darkness that the discord is brought into the creation. Melkor becomes a force of that discord. The story proceeds after the formation of the world. After the formation has taken place, the Ainur—the emanations of the first god—enter into creation. They actually come down into the world, and become what men would call gods. There’s not one, there are many and they all have their different elements. There’s Manwë, who is really the God of the Winds, the intelligence. He has a syzygy, a female companion, Varda, who is the Queen of Stars, the creator of the first lights. Readers of Lord of the Rings will remember her as Elbereth Gilthoniel, Star Queen, or Star Creator. To whom Sam prays when they meet Shelob in the caves of Cirith Ungol. There is a force of the water, Ulmo, who’s really a prophetic voice. There’s Aulë, who is a creator, a manipulator of matters. These various emanations come into the world, and they have relationships with the children of the Ilúvatar. There are two types of children of Ilúvatar in the world. There’s the Human, and then there are the Elves. The whole drama has been set up before Elves or Humans awaken. Now you asked, “What myth is this like?” I’d say, first of all, it’s a lot like most Gnostic creation mythologies in that it is emanational. That there is a first source. That first source emanates into a variety of powers—forces of different types—often referred to as children. That these enter into the direct relationship of creation. That they are demiurges—this is exactly the word that Tolkien uses. He refers to the Ainur as demiurges, demiurgic forces, forming forces. In this creation, a darkness enters in. A darkness of chaos. A darkness that would control the world, and order it to its own power, who is Melkor—this dark, chaotic force. I’d say this myth has its most interesting focus of conjunction with the Manichean myth. In Mani’s myth, there is a realm of light. The realm of light is invaded by a dark force, by a force from outside of the light which hungers after the light. That is really the beginning of the whole cosmogonic story. The Manichean myth has a period of, before the mixing of the elements, during the mixing of the light and the dark, and a period that will happen after. We live in a period of the mixing. That’s cosmos. The entire Manichean myth sets a stage of what happened before cosmogenesis. Cosmogenesis itself is an effort to rescue the light from the mixing. In the Manichean myth, the realm of light is invaded by a darkness. Into the darkness are thrown—sort of as a sacrifice, or as a battle plan—five of the sons of the God force. That’s the beginning of the mixing. These five children of light enter in through a mix in the darkness, are essentially consumed by the darkness, and thereby enter into the creation. One sees some of this in Tolkien’s image. There’s no exact parallel. The point is, is that there is a mythopoetic imagination which is working with just these sorts of themes, which is really quite extraordinary. LO: Yeah. One can look at Tolkien’s cosmogonic myth as a literary creation, but one must understand that Tolkien was drawing conclusions. Tolkien was discovering something in the imaginal and was then drawing conclusions from it about the nature of life, of human reality, about how we humans stand at this particular point in time. He came to see that indeed, we are imprisoned. faint echo and dim picture of the world. to life and death of trees, of beasts, of stars. Then comes this description of who these people were. This image of the human consciousness says, “we are free captives, undermining shadowy bars” – “ free captives, undermining shadowy bars”— isn’t that the key image of the exile in Gnostic mythology? LO: He says, “Digging the foreknown from experience, and panning the vein of spirit out of sense.” “Digging the foreknown from experience.” Well, what sort of experience is that? It’s the foreknown, that thing, that epinoia. That first knowledge is being dug from experience. What sort of experience? Imaginal experience. Experience of the inner realm. Then he goes on, “Digging the foreknown from experience, and panning the vein of spirit out of sense.” Here we have this sensory perception of the outer world, but there is also a spirit. We pan that vein of gold, of spirit out of sense. Then he goes on speaking of the evolution of human consciousness. He says, “Great powers they slowly brought out of themselves,”—speaking of mankind. and looking backward they beheld the Elves. unless the mother’s womb, whence all have birth. LO: So, the Heaven is just a void unless we see it as that jeweled, myth-woven tent. The inner reality of our imagination which gives meaning to that void of stars. We project out into that realm, our stories, the stories we tell, that myth-woven tent within which we reside. So, he’s dealing with this mythology. He’s dealing with this sense of exile throughout his mythology. That sense of the Gnostic exile is very much present in all of Tolkien’s work. via Gnostic themes in Tolkien\’s Lord of the Rings: Interview with Lance Owens (Part 1) – Aeon Byte Gnostic Radio. This entry was posted in Uncategorized and tagged Aeon Byte, Carl Jung, Consciousness, creation, demiurges, elves, experience, Gnostic, JRR Tolkien, Jung, Lord of the Rings, myth of Christ, mythology, Red Book, Tolkien. Bookmark the permalink.